Tip: Use larger accent candies for the star topper. 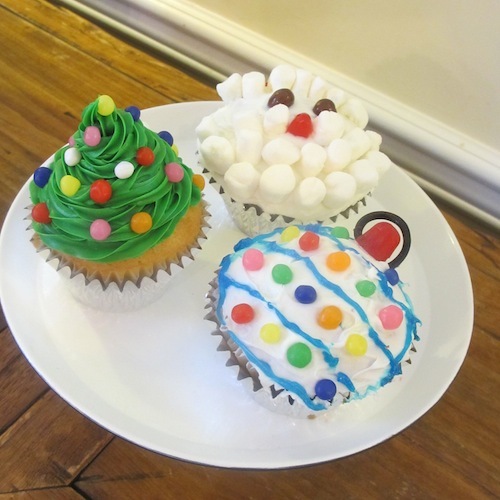 Tip: Make Christmas Tree cupcake above by slowly going around and around and up with a can of green icing. 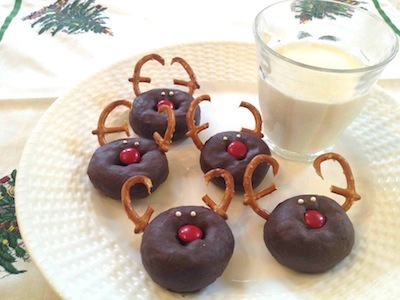 Tip: We used store bought mini chocolate doughnuts to make the reindeer Christmas treats and store bought brownies to make the Santa hats Christmas treats. 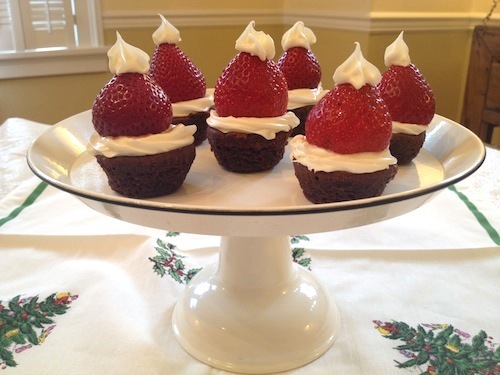 Tip: Cupcakes and brownies should cool completely before you ice them. 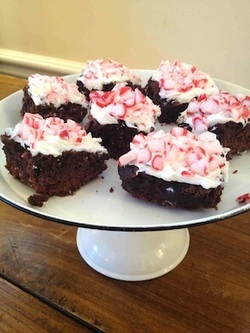 Tip: Mash up candy canes in a ziplock bag to make peppermint chips for the brownies. 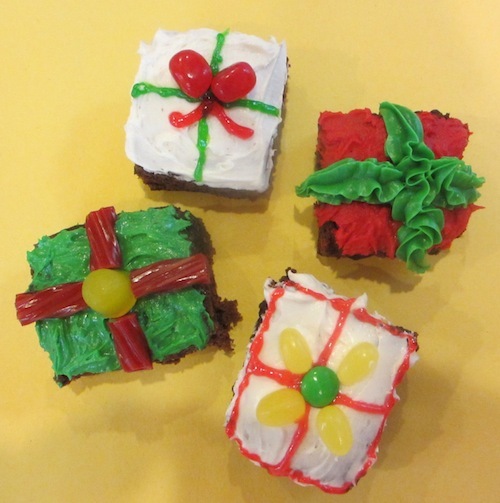 Tip: Use jelly beans for bows on Christmas brownies. 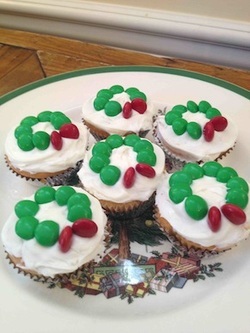 Tip: Use black licorice to make loop on ornament cupcake. 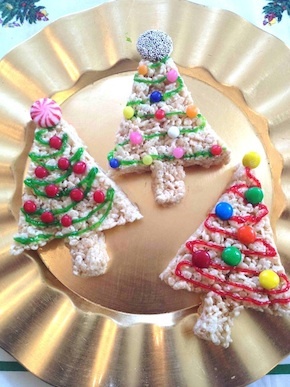 Tip: Use icing to make tree top. Tip: These Christmas cookies freeze very well. Tip: Careful, cookie can break when trying to put in pretzels. Christmas Cookie Decorating Bonus Feature!